Linda Rimer currently serves as liaison to North and South Carolina from the Region 4 Office of the U.S. Environmental Protection Agency. She represents the agency on environmental issues and topics related to sustainability, including adaptation to climate change. Before initiating this liaison role, Rimer worked in the EPA headquarters office in Washington, D.C.. She was the deputy associate administrator for Intergovernmental Relations and advisor on urban sustainability to the deputy administrator. 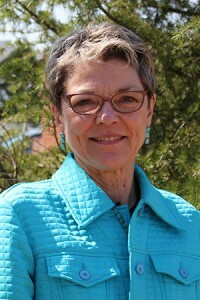 From 1993 to 1998, she served as the assistant secretary for environmental protection for North Carolina within the Department of Environment, Health and Natural Resources. Rimer holds a bachelor’s degree in nursing from the University of North Carolina at Greensboro, a master’s degree from Rush University, and a doctoral degree in environmental policy from the School of Public Health at the University of Illinois at Chicago.